What women want in winter: Look beautiful and attractive, feel warm, comfortable and cozy. Many of you don’t believe that it’s possible. Look at the pictures and you will see with your eyes that it’s possible to look beautiful, feel warm and comfortable at same time. You decide which color will be best for this blanket sweater. As usual we have for you free pattern by Jessica. 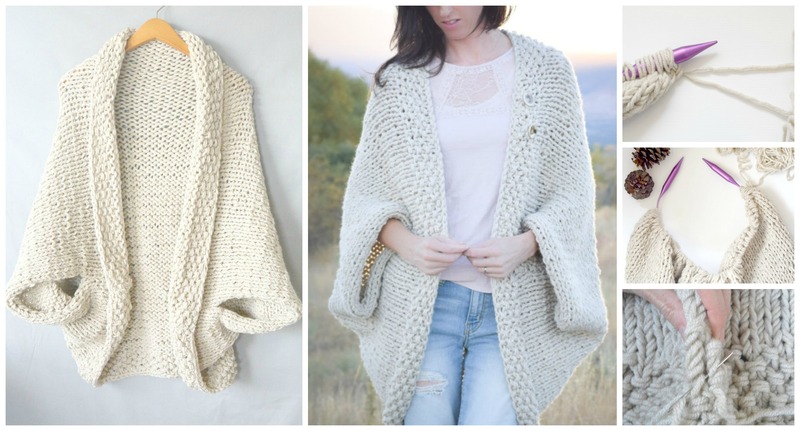 Link in our post will get you on Jessica’s blog and there you can see another beautiful designs and great free pattern. We hope you will enjoy and with results will be happy. Make your everyday life more beautiful and comfortable with us. Good luck.